4 students journeyed to South Korea this June as the world witnessed a pivotal moment in U.S.-North Korea history. Participants of PAAC’s 2018 Freeman Summer Study Tour hailed from O‘ahu and Hawai‘i islands, coming together from Farrington, Waipahu, Mililani, Nanakuli, Waiakea, Parker, Kahuku, ‘Aiea, Campbell, and Wai‘anae High Schools. 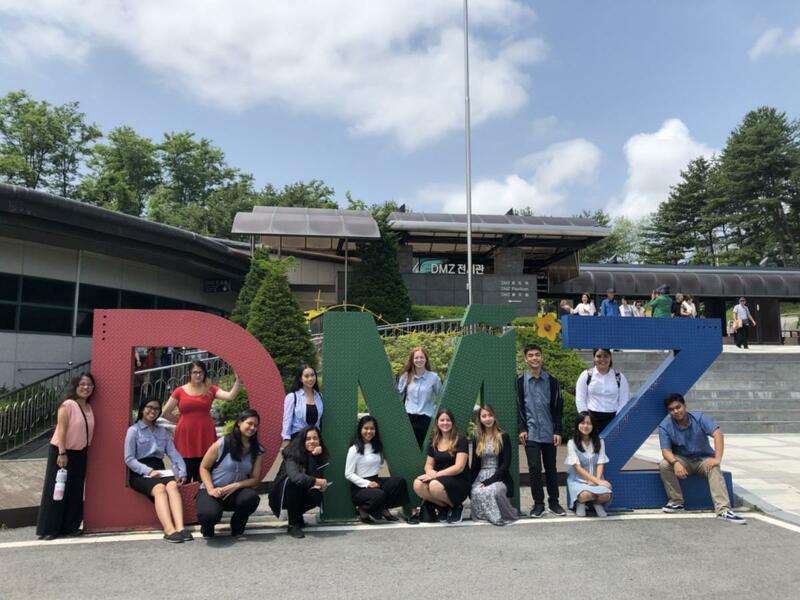 Prior to departure, students brushed up on their knowledge of South Korea during a week-long orientation, learning the basics of Korean language, history, art, and politics. The orientation program was made possible with the support of community experts Soo Yeon Lee, Denny Roy, Harrison Kim, Sean Nakayama, and volunteer docents at the Honolulu Museum of Art. 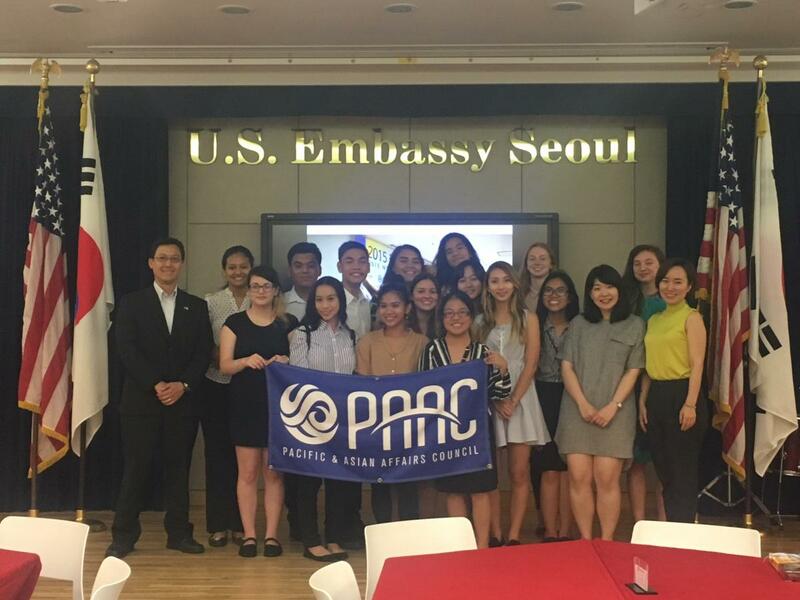 Once in South Korea, the group dove into Korean current events and politics with visits to the U.S. Embassy, Korean National Assembly, and Ewha Womans University where they discussed South Korea’s current and past relationships with the U.S. and other Asian countries. 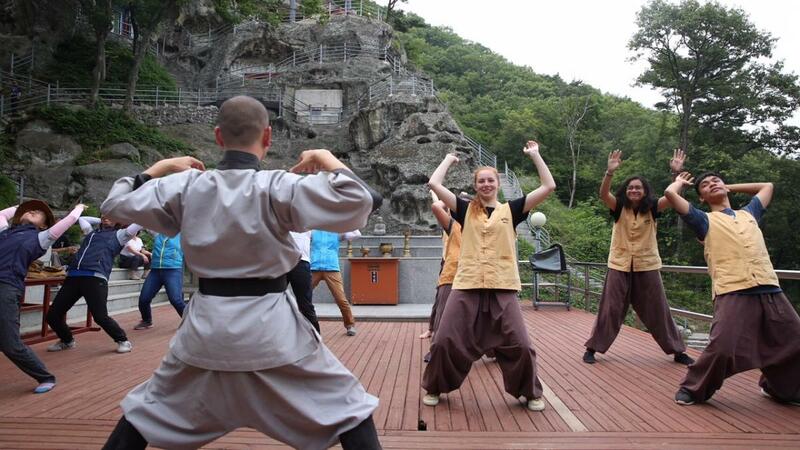 The more serious topics were balanced with excursions to famous sites such as the Gyeongbok Palace and Bulguksa Temple, as well as immersive and unique opportunities such as an overnight stay at the Golgulsa Martial Arts Temple and Mask Dance lessons at the Hahoe folk village in Andong. The whirlwind two week trip came to a close in Busan, where students made friends with children and peers living at the Aloysius Orphanage, making personal connections while exploring the city together. Putting faces and names to a country so heavily featured in recent news was an opportunity for students to see beyond the headlines and feel invested in continuing to learn about current events not only in Korea, but also the Asia Pacific region. Mahalo to the Freeman Foundation for providing generous funding and scholarships for this program. "I am usually the person standing in the background watching other people do amazing things that I wanted to do. This trip proved all my doubts wrong. After doing this trip, I feel empowered and brave to put myself out there. I feel that maybe I really am ready to do the things I always dreamed of doing." "Traveling to another country with PAAC has allowed me to see the unique differences that America and other countries have but also the similarities that are worth celebrating. PAAC didn't just open my eyes throughout this trip, but also my heart."